April: done. May: in progress. June: coming up! Today we're sharing these three monthly layouts in The Happy Planner™ of mambi Design Team member Jen Randall. 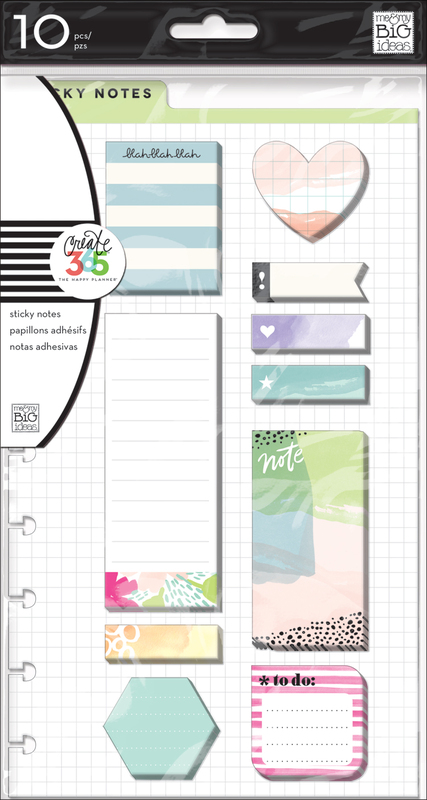 Jen used a bunch of new products from the latest release in The Happy Planner™ line, and read on for details. "Usually a couple of days before a month begins I will sit down and add washi tape, planner stickers, important dates, and some pictures. As the month progresses I may add more photos from specific days or jot down little notes. April is over (YIKES!) so its layout is finished. I went back throughout the month and added to it. I don't feel the need to put something in each and every box. I just add in places that I may have extra photos or have something in my mind that I want to jot down. My weekly spreads are used to create a more detailed story." "The May & June layouts are examples of how I set up a new month. Lately, I have started with choosing a favorite washi tape (HELLO! They are FABulous!) and building a color scheme around it." Above, Jen used the new checklist self-inking stamp to write her ToDos for April, and one of the new circle listing stickers for May. 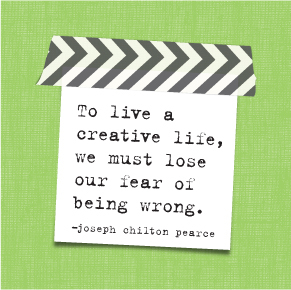 There are so many ways you can customize and jazz up your lists of tasks and errands! "I absolutely LOVE the new tapes especially the 'Live Loud' set. I also set up the new months with places to hold personal ephemera like receipts & tickets, as well as ToDo lists. For May I just HAD to add the gorgeous floral Pocket Folder from the Don't Quit Your Daydream and the Live Loud List Pad! 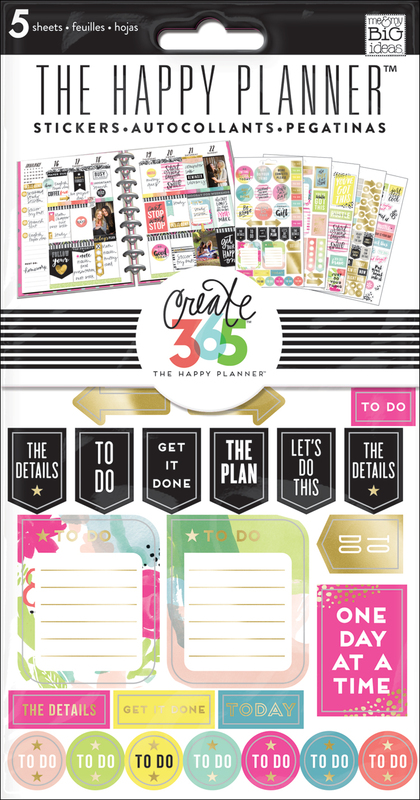 I mean the NEW release of The Happy Planner products are just amazing!"